The Kentucky Derby is almost a religious holiday in Louisville. You can feel the excitement and anticipation in the days and weeks leading up to the greatest two minutes in sports. 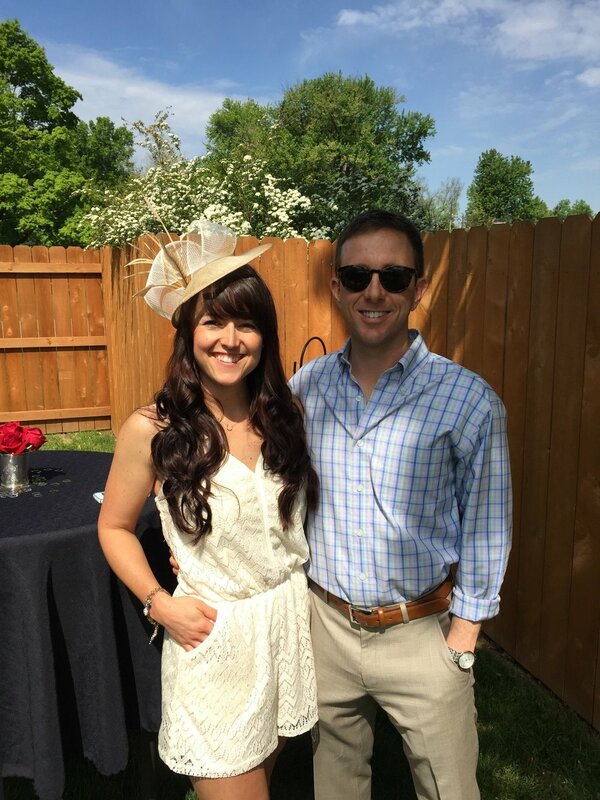 Growing up in Louisville, I have always loved Derby week, from the flowers and events, to the food and hats. Since living in Nashville, we have thrown a Derby party every year to bring a little bit of home to Music City. This year with a new little babe at the house, we decided that was a little too much to take on, so I am leaving you with a recipe for my go-to Derby Day Bars, and some photos of Derbys past. Mix together flour, butter, and confectioner’s sugar. Press into the bottom of a prepared pan. Bake until lightly golden brown—about 12 to 15 minutes. Place pecans in a small bowl, cover with bourbon and soak overnight. Preheat the oven to 375°F. Drain the bourbon from pecans, then set the pecans aside. In a large bowl, cream the sugar and butter together. Add the eggs, one at a time, mixing until incorporated. Then add the maple syrup, bourbon, vanilla, and salt and mix until combined. Stir in the chocolate chips and pecans. Press the Shortbread Crust into a sprayed sheet pan, then pour the batter into the crust. Transfer to the oven and bake until the pie is set on the outside edges (the center may still be slightly jiggly)—55 to 60 minutes. Allow to cool before slicing into squares.